Join #1 New York Times bestselling author Susan Wiggs on a journey to a charming Catskills town that feels like home and where a cast of brilliantly drawn characters awaits in a poignant story of reconciliation and the healing power of love. When caregiver Faith McCallum arrives at the enchanted lakeside estate of Avalon’s renowned Bellamy family, she’s intent on rebuilding her shattered life and giving her two daughters a chance at a better future. But she faces a formidable challenge in the form of her stubborn and difficult new employer, Alice Bellamy. While Faith proves a worthy match for her sharp-tongued client, she often finds herself at a loss for words in the presence of Mason Bellamy—Alice’s charismatic son, who clearly longs to escape the family mansion and return to his fast-paced, exciting life in Manhattan…and his beautiful, jet-setting fiancée. The last place Mason wants to be is a remote town in the Catskills, far from his life in the city, and Faith McCallum is supposed to be the key to his escape. Hiring the gentle-hearted yet strong-willed caregiver as a live-in nurse gives his mother companionship and Mason the freedom to return to his no-attachments routine. For Faith, it means stability for her daughters and a much-needed new home. When Faith makes a chilling discovery about Alice’s accident, Mason is forced to reconsider his desire to keep everyone, including his mother, at a distance. Now he finds himself wondering if the supercharged life he’s created for himself is what he truly wants…and whether exploring his past might lead to a new life—and lasting love—on the tranquil shores of Willow Lake. 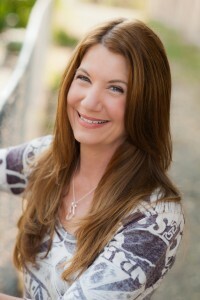 Susan Wiggs is the author of many beloved bestsellers, including the popular Lakeshore Chronicles series. 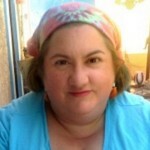 She has won many awards for her work, including a RITA® Award from the Romance Writers of America. Knowing that this was from Mira, one of the many divisions of Harlequin, I was a little bit worried that Starlight on Willow Lake would be overly romantic. What a delightful surprise to find that it was, instead, about the just-as-strong love that exists between family members, with just a soupçon of romance for flavor. As much as I really liked Faith, as a mother, as a professional caregiver, and just as a person, I felt that the novel was really more Mason’s story in a lot of ways – his instinctive pushing people away to protect both himself and them, and his growth as he learns that pulling people closer is a much healthier response most of the time. I enjoyed his relationship with his siblings, with Alice, his mother, and with Faith, though I felt his fiancée was a bit more of a plot device than a fully fledged person. Aside from the fiancée (see, I don’t even remember her name; I’m horrible), I thought all of the characters were incredibly well drawn, and felt like people you might encounter in a lakeside community in the Catskills, or in any other small town. Author Wiggs also crafted a plot that was well-paced and truly interesting to read. Capturing the different nuances of all these different, interconnected relationships, not the least Faith and Alice as well as Faith and Mason, was done with great delicacy and precision. It’s easy to see why her work is so popular: it deserves to be. If you’re looking for a traditional romance, this is not the novel for you. If, however, you want to spend time getting to know some really compelling characters, and learning their stories, you should run, not walk, to your favorite bookstore (or bookstore’s website) and buy a copy today. Goes well with fresh-caught trout, grilled to perfection, a baked potato, and a glass of chilled chardonnay. 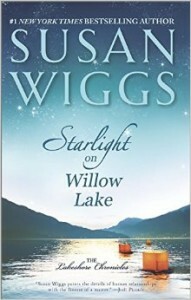 Want a copy of Starlight on Willow Lake for your very own? One lucky reader from the United States or Canada will win a copy. To be a contender, leave a comment on this post and/or retweet the twitter post I make about this review (with the link intact), by 11:59 pm CDT on Wednesday, September 23rd. Be sure to use a working email address if you comment. Winners will be contacted by email before being publically announced. If your name is selected (I use a highly scientific method that involves one of my dogs pulling pieces of paper from a basket), your name and mailing address will be forwarded to TLC Book Tours, who will, in turn, forward it to the publisher’s representative who will fulfill your prize claim. This will not happen until the tour is complete, and it may take several weeks for the book to arrive.